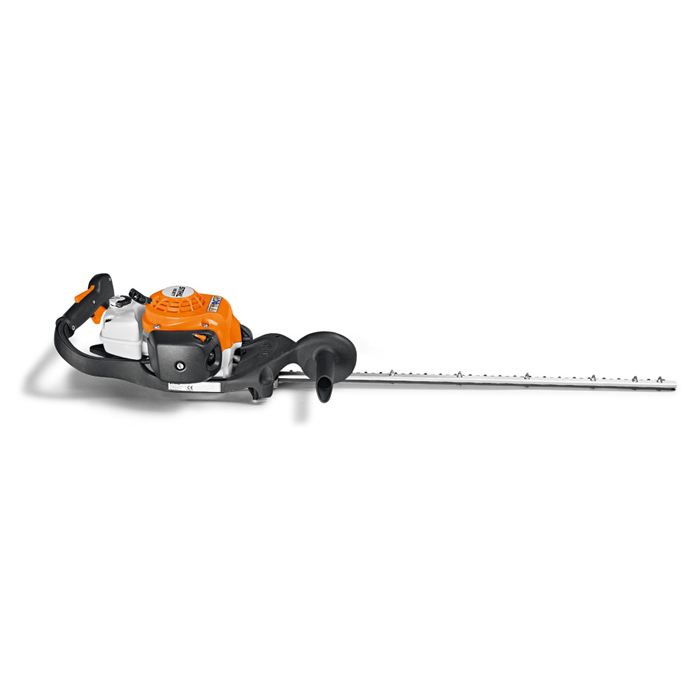 Trimming variation (R) - The T variations of STIHL hedge trimmers provide the perfect trimming and shaping of hedges and shrubs. Thanks to the blade shape with smaller tooth spacing and lower tooth height in conjunction with the gearing for a high stroke rate, more specific shapes can also be achieved..
Single-sided cutting blade - The cutting blade is ground on one side. The special blade geometry ensures high cutting performance.